Spy shots showed the 2021 Mercedes-Maybach GLS for the first time; Honda priced the 2019 Civic Type-R at $36,595; and Classic Recreations dropped an 815-horsepower Mustang Boss 429. It’s the Week in Reverse, right here at Motor Authority. 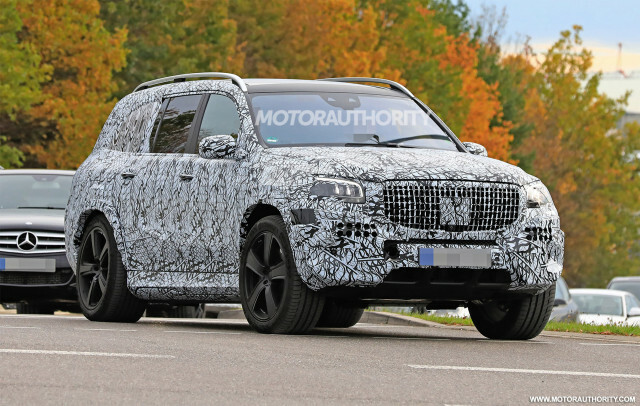 We spied the 2021 Mercedes-Maybach GLS for the first time. Rumors have suggested an ultra-luxurious Mercedes-Maybach model since 2014, and the new SUV will take on rival opulent SUVs from Bentley and Rolls-Royce. As for what the SUV will look like, the Maybach Ultimate Concept hinted at the design. Honda released pricing for the 2019 Civic Type-R, and it will increase slightly to $36,595. The Japanese hot hatchback doesn’t get any major changes, but buyers will find a physical volume knob (yay!) as part of a reworked infotainment system. Honda also adds a Sonic Pearl Gray exterior color to the car’s palette. Classic Recreations revealed the Ford Mustang Boss 429. It’s a re-created turn-key pony car, and the company has been granted exclusive rights by Ford to build it. A Ford 429-cubic-inch V-8 is stroked to 514 cubic inches, and that helps it make 815 horsepower. Mazda announced it will debut the next-generation 3 sedan and hatchback at the 2018 Los Angeles auto show. Styling is expected to recall the Kai concept car, and the new SkyActiv-X engine should be under the hood. The engine promises diesel-like fuel economy with cleaner gasoline emissions. Aston Martin said it will reveal its first SUV in late 2019. Potentially called the Varekai, it will be built at the nearly completed St Athans, Wales, assembly plant. When it debuts, it will not boast an all-electric powertrain as once planned, but a hybrid is likely.